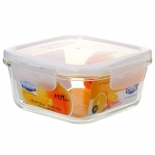 As a square glass food storage containers manufacturers for more than 11 years, we struggle to provide our customers with best glass kitchenware on both features and appearance. 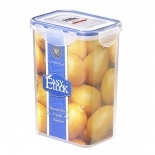 We continue our tradition of supplying the highest quality products with our airtight food containers. For the glass base, we use high-borosilicate glass which is resistant to high temperatures (over 400℃) and impact. 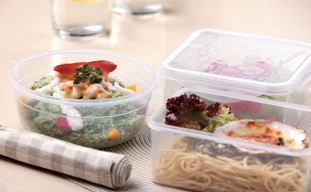 As per the lid, we use type 5 PP plastic which is BPA free and safe for food storing. 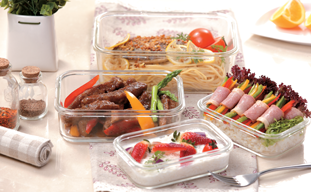 Easylock glass food containers series is hot-sale especially on South America, North America, Europe and Asia, etc. 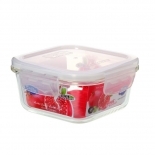 The locking system designed for both glass food containers series and plastic food containers series are made of PP plastic. The distinctive snap-down locking hinges lock moisture in and keep bacteria out. We've done endurance test on the locking lids and the results turns out that they can be opened and closed for over millions times. Moreover, the silicone seal ring in the rim of the lid are hollow. It assure excellent restoration and compression properties for long-term airtightness. 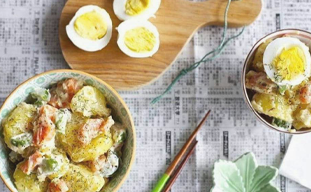 Our glass kitchen food storage containers are made of high-borosilicate glass, which means it is not only stain resistant, odor free for lifetime clarity, but also means that it is heat-resistant for over 400℃. It is safe in oven, microwave, dishwasher and it's freezer safe. The stacking design of our food containers makes it possible to pile up dozens of food containers, which can create up to 40% more space in your fridge, freezer, cupboard, cabinets or coutertops.